Never enough. Music. Life. Energy. Fun. Notes. Idiocy. Effort. Heart. Leaps. Imperfection. Magic. Music. Some tunes pop up out of the blue. Some melodies vanish into thin air.Some clues are unseen, some hints ignored. Sometimes everything clicks together like clockwork. 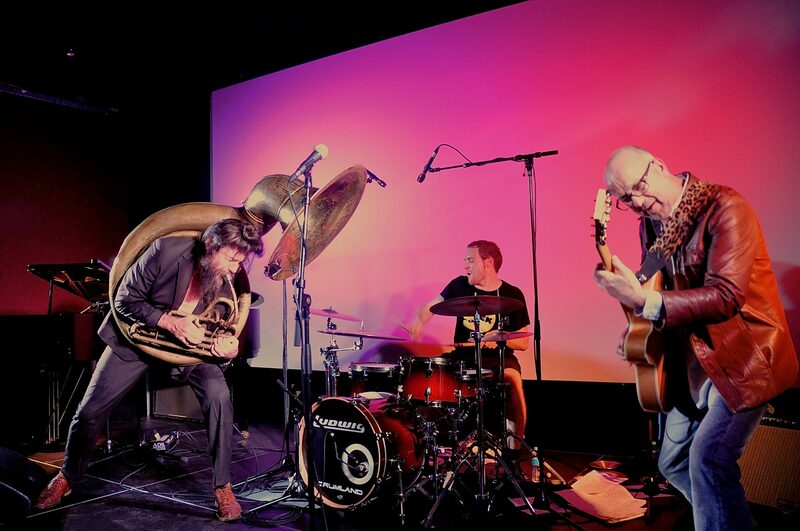 These three are skilled masters of improvised music. They fight each other to the bone, they support each other to the top. One moment high-flying power grooves can get shot, to start a new life crawling in the mud. Taken roads cross, intertwine or run dead as the moment requires. In the meantime they mock, entertain, surprise, frighten and move.